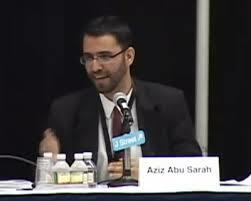 Pop Quiz: Who is Aziz Abu Sarah and why is MSL blogging about him? 2. Compare your story to Palestinian Aziz Abu Sarah's real-life story. Aziz’s experience in Hebrew classes - just studying the language with fellow students who happened to be the first Jewish people he’d ever met (except for soldiers) – transformed him. Can ESL classes have the same impact? Have you ever been in an ESL class with students or instructors from countries and cultures that you didn’t understand or even feared or hated? Did your attitudes seem to slowly change while you weren’t paying attention to anything but English? ESL classes at Berkeley often include students from Mainland China, Taiwan, Japan and Korea. The potential minefields in their histories, current events and cultures are close to the surface, but with English, homework, culture shock and American style “Asian food” as common enemies, classmates from these conflicting countries are often surprised to find themselves gradually becoming friendly without even noticing, just like Aziz and his Jewish classmates. When students from conflicting countries and cultures work together to improve their English communications skills, and when the required book is Getting to Yes, and when students are learning “active listening” skills to participate in negotiation and mediation role plays – in English – on topics such as roommates, romance, families, movies, business, law and current hot topics in the U.S. – topics with no connection to the elephant in the room - the opportunities increase for surprising new friendships and understandings while no one was paying attention to anything but English and conflict resolution skills. Aziz’s story describes one potential benefit of MSL®. But don’t tell anyone. In MSL® classes, we’re just studying English and conflict resolution to improve fluency and global legal and business English communication skills. If anything else - like world peace - occurs, it’s icing on the cake. Note to ESL Instructors: Aziz Abu Sarah is this year’s keynote speaker at TESOL in Baltimore on April 4. Look for me in the front row! And, if you’d like to talk about applying Aziz’s ideas to our classrooms, send me an e-mail and let’s find a time to talk before, during or after the conference.